I absolutely love Antioch Dental Care. Both Dr. Vlahos and Dr. Tran have worked on me. They are very precise, gentle, and knowledgeable. I am a dental chicken and I felt little to no pain during my bridge, both extraction and temporary in one day. Sanjita is awesome! She is able to answer all of my questions regarding scheduling and insurance coverage and was even able to get me financing. Asa ( I hope thats right) is an awesome Dental Assistant and surprisingly hilarious. I went a while without seeing a dentist due to not only finances but being uncomfortable. Both doctors and staff are amazing and have been my saving grace!!! I love Dr. Vlahos and the staff there!! My son goes there and sees Dr. Tran and he loves it! Dr. Vlahos really does a wonderful job and has done an AWESOME JOB on my dental work! If you have a fear dentist, go here because Dr. Vlahos and Dr. Tran will make you feel comfortable! I have been going to this dentist for years and this morning went to see Dr. Tran and I had no cavities! I am 54 years old and for me this is awesome. I took her advice in 02 of 2013 and quit smoking = bad for the gums, got the sonic toothbrush from Costco and use the water- pik and floss like she said and this was my results!!! Hugs to Dr. Tran and her staff that have always helped and treated me so good at my visits. They have gone out of their way to accommodate my schedule and me. Best dental care ever! Dr. Vlahos and his staff are the most friendly and caring. I had great anxiety getting my teeth fixed after having a very bad experience with a previous dentist. I felt so very cared for before, during and after my appointment. Dr. Vlahos is so very gentle and makes you feel completely at ease. I can't say enough good things about his staff. They called me the day after my appointment to see how I was doing since I had the sedation just to make sure I was doing ok. They are all very caring people and this is the only dentist I will be using going forward. Also just had one of my teeth chip in the front and Dr. Vlahos fixed it like you would never know it had chipped - looks great. Thank you Dr. Vlahos - you are the best!!!! Dr. John, Dr. Tran and all of the staff are in one word, AMAZING, and I can say from many years of treatment, the only "pain free", dentists on this planet. My family and myself have been patients of theirs, since more years than I can count. Seven years ago we had to leave the area we were born in and move to Grass Valley, therefore having to get a dentist closer to us. However, if I ever return, I would go back to Dr's John and Tran in a heartbeat. They are the best! A very friendly staff that will put you at ease. Dr. Tran has cured me of my fear of dentists. I have had a lot of work done and I am always amazed that I don't feel the shots! I had to have an extraction which honestly scared me, but it was done before I knew it. No pain at all !! The best dental care available. What first brought me to Antioch Dental Care was a poorly done crown. Myself, and my family were referred to Antioch Dental Care many years ago. Dr. Tran has done a few more crowns during this time. Her work is meticulously done, and the crowns fit and feel just like they were my own teeth. 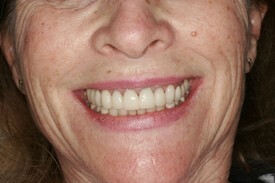 I am very impressed with her perfection in her dentistry, and I would highly recommend her as a family dentist. Dr.Vlahos and his staff are always very pleasant and courteous. They always make me feel so relaxed and comfortable. 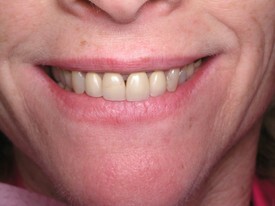 I just had an upper anterior crown replaced,and the color and the look was so perfectly matched to my satisfaction. I would recommend Antioch Dental Care to all my friends and family. Dr. Tran speaks Vietnamese, tells me exactly the problem with my teeth & helps me decide what to do. Rachelle is an excellent hygienist. Kat is very polite & makes sure I don't forget my appointment. I have been a patient of Dr.Charlene Tran's for 12 years. Like most people the dentist is not my favorite place to be. Antioch Dental Care has always made my trip to the dentist less traumatic. She is so patient, and understanding of my fears. Her staff has always been friendly, and courteous. I love her state of the art equipment. She is,and will continue to be a positive experience in my life, and the lives of my family. I have, and will continue to recommend her to family and friends.